A residential project that requires exterior and interior renovation along with a small extension. Sustainable and natural materials were chosen in order to create a new healthy and serene environment for a family of 3. This house turning greener will soon be completed! Read more about the project: The house was in a very poor construction condition. The ground floor and walls were directly built above the natural soil missing a real slab and insulation. As a result, the plot was flooded by rainwater along with neighbour’s garden water. Consequently the house suffers from a high rates of humidity which makes it unfunctional and unhealthy for living. 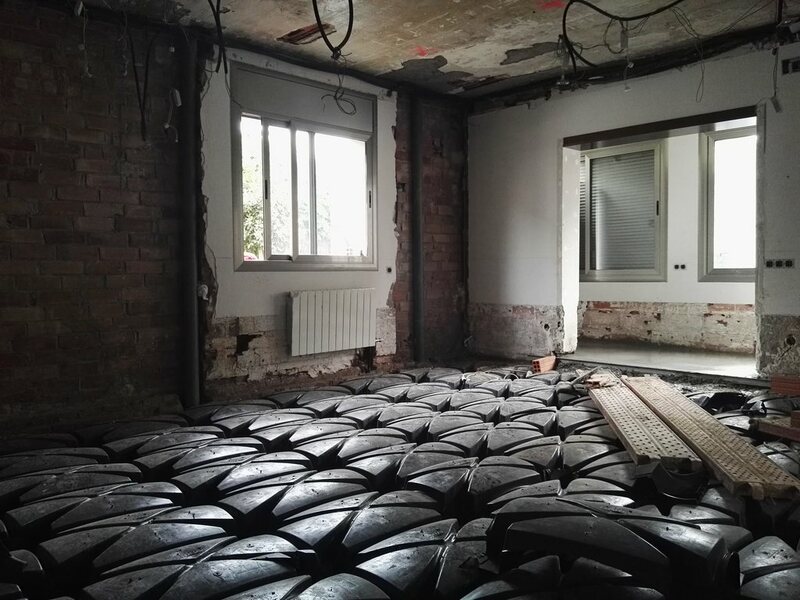 The house renovation in its first stage focuses on removing the entire ground slab and excavating almost 1 meter. After the excavation, the”cavity system” that totally detaches the house’s ground floor from the natural soil, provides a definitive solution to the humidity problem.